of color selections. 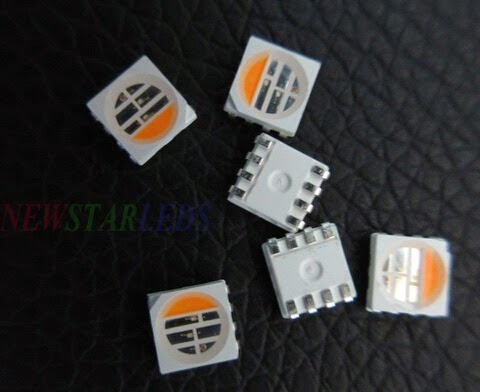 All components are produced by packing high-performance RGBW LED chips and silicon resin with proprietary phosphors. 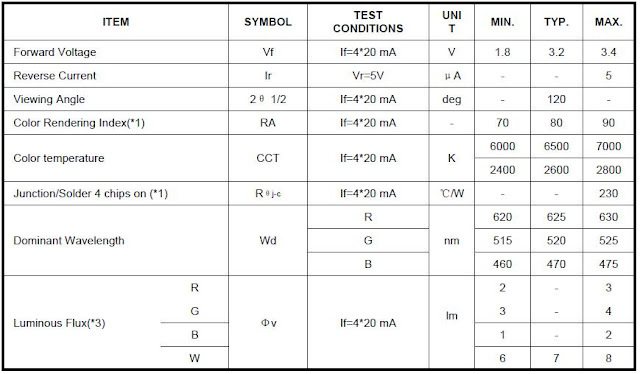 *2: Measurement tolerance of the luminous intensity: ±10%. This value for reference only. *3: Measurement tolerance of the luminous intensity: ±10%. 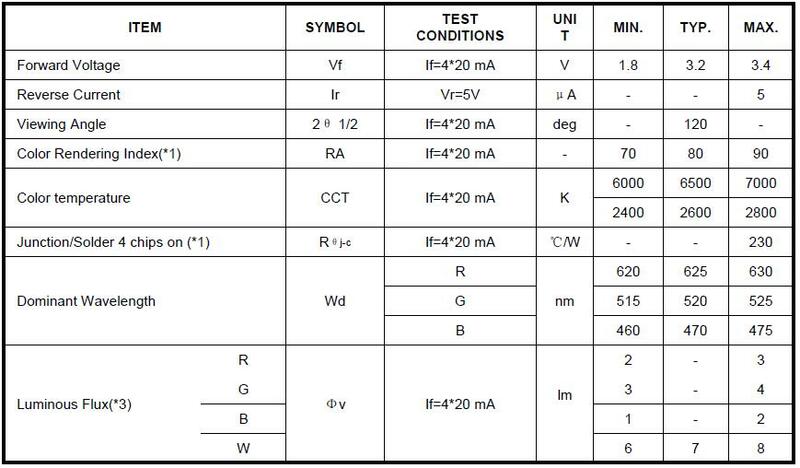 *1: Ifp conditions: 1/10 Duty Cycle & 0.1ms for pulse width. *2: Reflow method: 1.6mm from body for 5 seconds not exceeding the recommended maximum temperature. 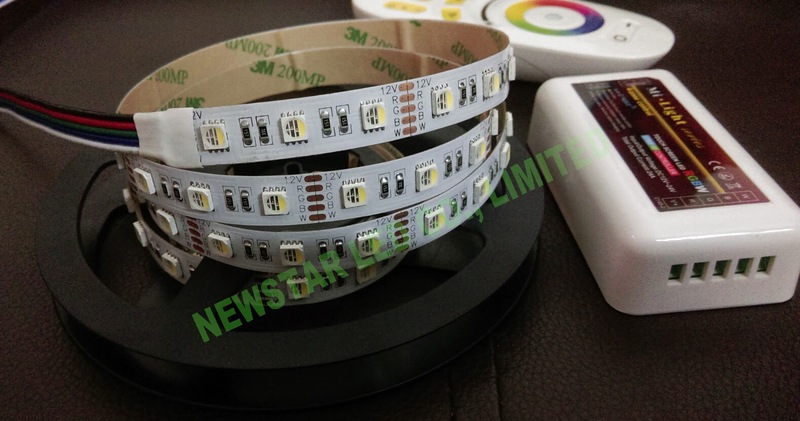 LEDs are sorted to Luminous Flux –lm bins are shown. Orders for The LED may be filled with any or all bins contained below. 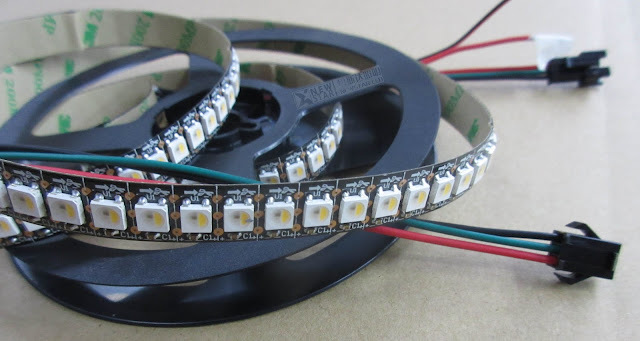 All Luminous Flux-lm values shown and specified are at IF =4x20mA. LEDs are sorted to VF bins shown. 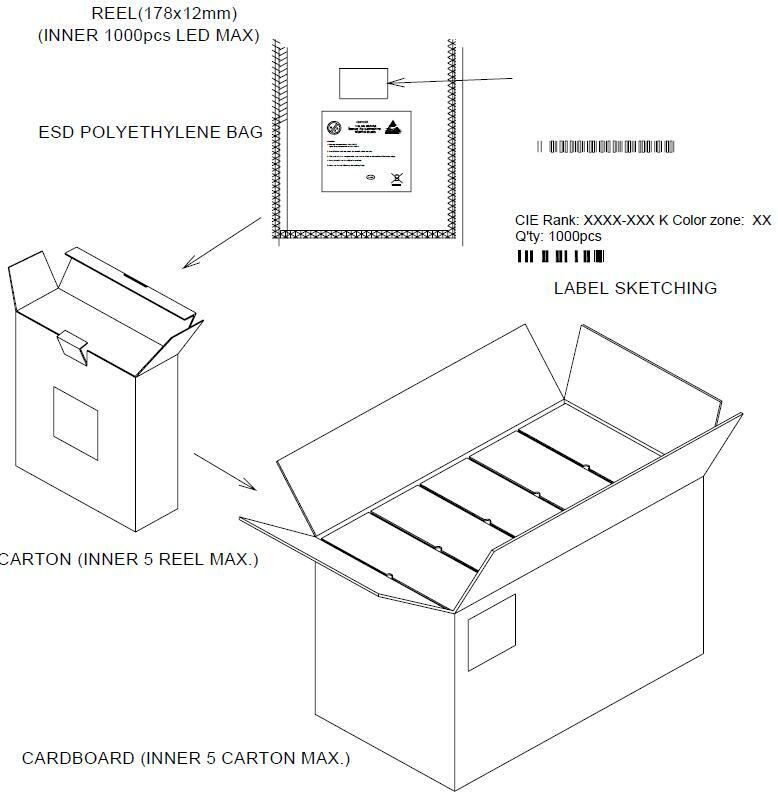 Orders for The LED may be filled with any or all bins contained below. All VF values shown and specified are at IF =4x20mA.